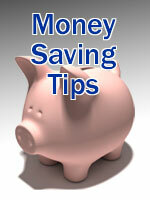 Discover loads of tips on saving money - many are quick and easy too. Don't let the credit crunch bite you, get stuck in and start saving now. Consignment Shops - Why consignment shops are mom's best friend has been the topic of much debate. What are they and how can they help you. Five No Cost Summer Activities - There are many ways a family can enjoy the summer months without having to spend a fortune on vacations. Here are five no cost summer activities you can plan with your family. How To Save On Groceries - The price of food these days seems to have skyrocketed (not to mention the high fuel prices). So here are some tips on how to save on groceries.